Happy Hamby Campers: Rad(ius) Birthday! I do like a birthday outing - and I've had some wonderful excursions in the semi-recent past. 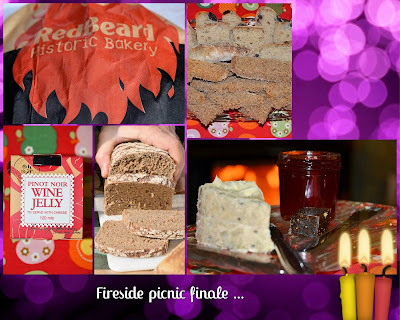 Several were enjoyed at various lookouts in the Watagan Forest and in 2012 we ventured about 200km from home to Burning Mountain - with a stop-in at Paradise for afternoon tea! Last year I was heavily lurgi-ed so the day was spent with a big box of tissues and a blanket. It was memorable, though not in a good way! I was a bit stumped for destinations this year. 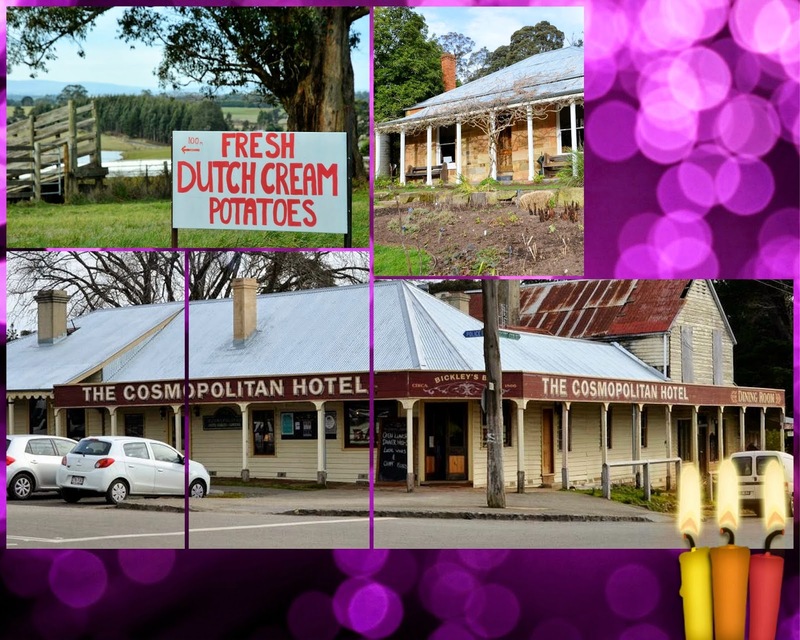 Somewhere new has a lot of scope given we've only been Victorian residents for a little over 18 months. After a fair bit of pondering, I found this online gadget, which creates a circular area around a point on a map. I used my age to give the radius from home and then selected a starting point more or less on the perimeter. Some more research revealed a "Wombat Forest Drive" map document that took in my desired destination and a few others as well. We didn't follow the route exactly. 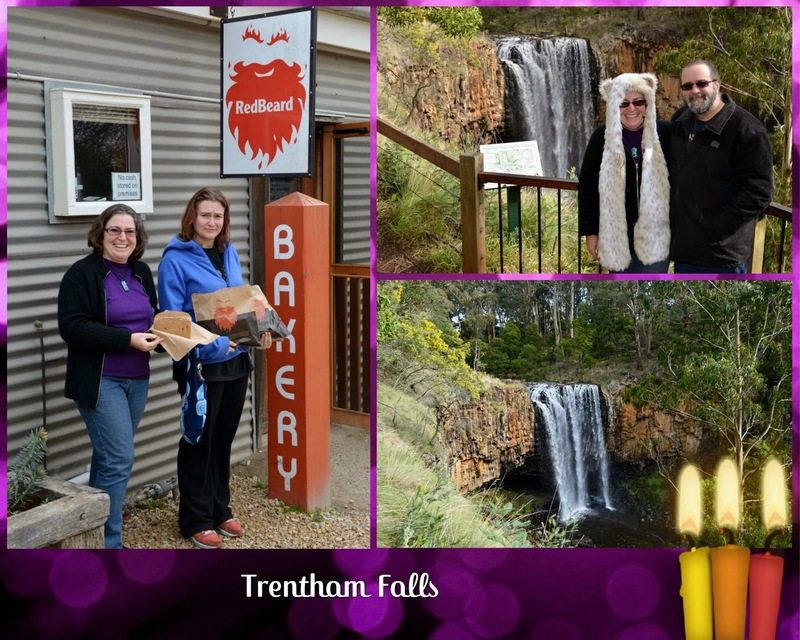 Our first stop was Trentham, to pick up beautiful sourdough bread from the RedBeard Bakery. 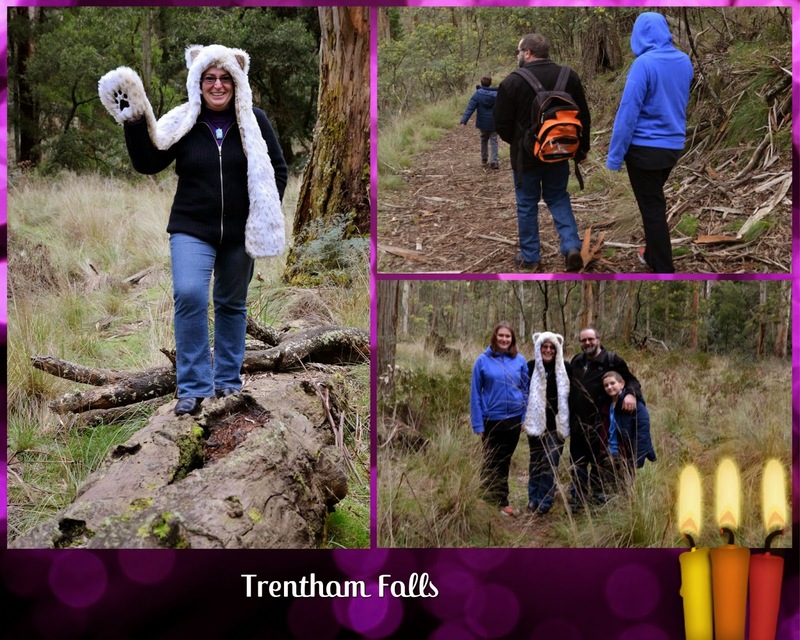 From there we back-tracked out of town to Trentham Falls for our picnic lunch and some geocaching. It was considerably warmer as we wandered around the valley below the falls. There were lots of huge gums, mossy logs and little birds flitting about the scrub. Erin and Vaughan spotted a swamp wallaby too. From the falls, we made our way over to Lyonville Mineral Springs to sample some birthday bubbles. Hah! Mineral water straight from the ground tastes nothing like the bottled stuff - sadly! We didn't stay long at the springs, though noted the picnic area for a longer stop on another occasion. It was quite pretty with a little creek flowing nearby. The Garden of St Erth was our next destination. We are not members of The Diggers Club so didn't tour the garden but rather enjoyed looking at all the many plants for sale. 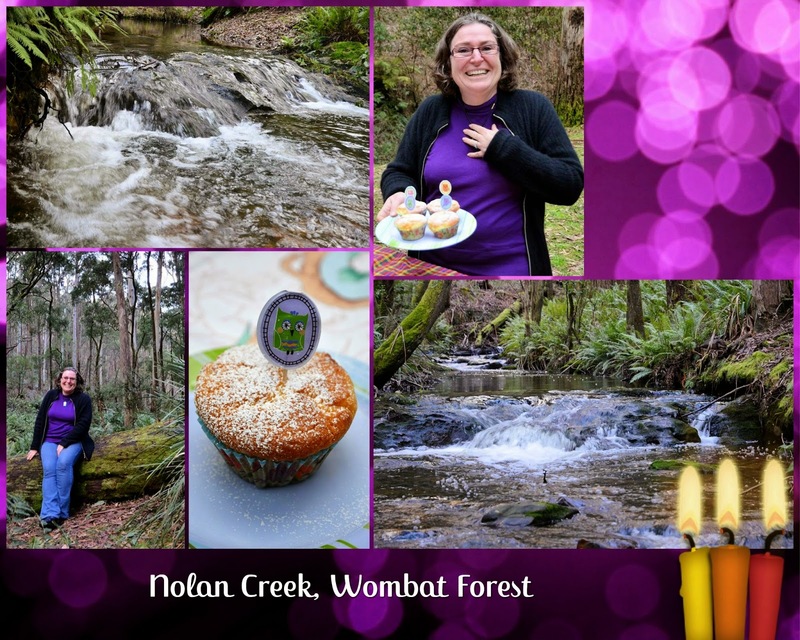 Our last stop was the Nolan Creek picnic area for afternoon tea and birthday cake(s). 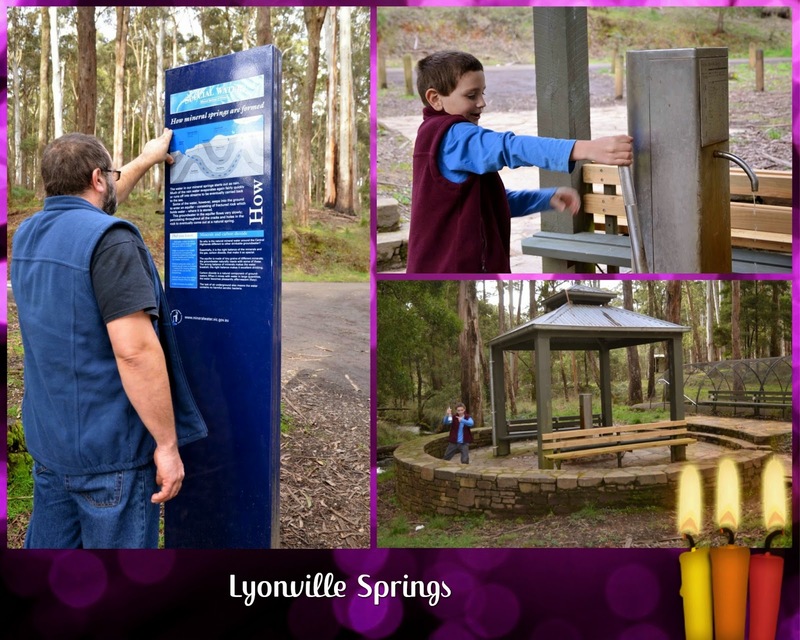 Such a beautiful little spot - we'll be back for sure to explore further and praps tackle the bushwalk in the link. Although the picnic area was in the Wombat Forest, I didn't hold much hope of seeing any wombats and said as much to Nick when we were heading home - just as one jumped onto the road in front of us! I was too startled to take his/her photo but there was much excitement! I leapt out of the car to get a better look, closely followed by Vaughan. Not surprisingly, our running caused the wombat to run faster! We headed home under an almost full moon, well pleased with all we had seen and done. The day ended with a fireside finale feast - three picnics in one day has to be a record! Funny story: as we drove along one of the country roads I spotted a sign advertising Dutch Cream Poffertjes - and although it seemed unlikely, I kept a hopeful eye out for special birthday pancakes. On the return trip, Nick took great delight in reading the Dutch Cream Potatoes sign!